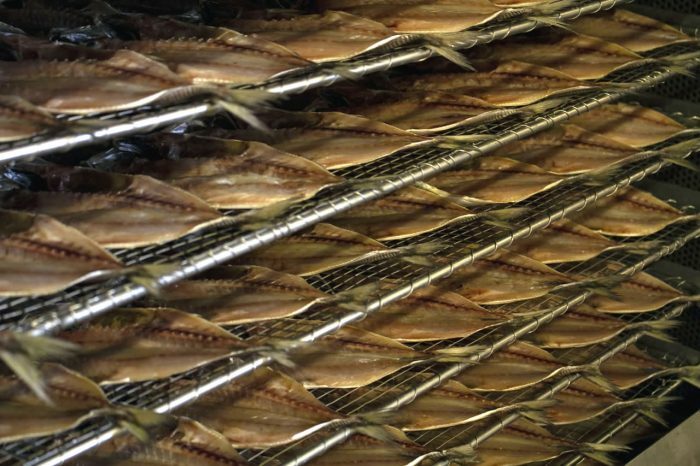 In 1993, a young Dutch-Japanese couple in IJmuiden opened a cemented 20ft container turned factory for processing dried horse mackerel. 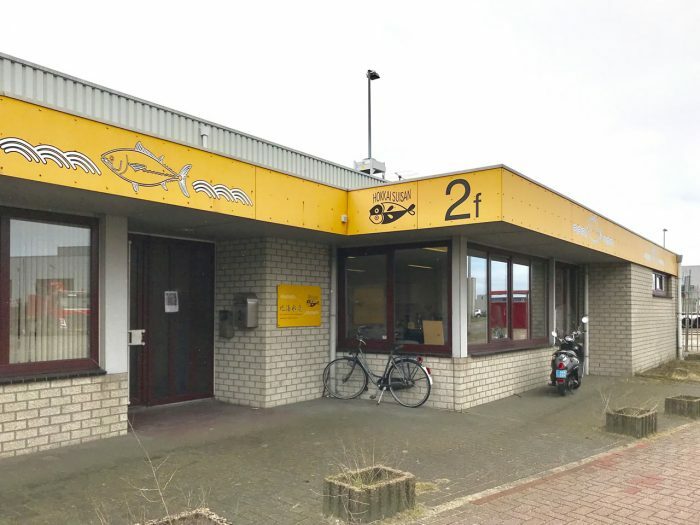 In 2018, Mr. Marinus Noordenbos and Mrs. Yukiko Fukuyama mark the 25th anniversary of Hokkai Suisan (North Sea Fisheries) which boasts a large facility with eighteen full-time and part-time employees. 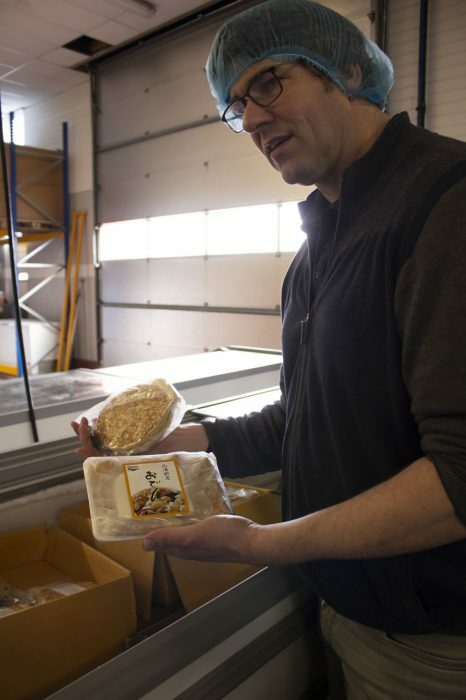 Today they sell frozen fish products and deliver them to 5,000-6,000 mostly Japanese households in the Netherlands and 10,000 in fifteen countries in Europe. As the youngest of five, Marinus did not want to seek further education after completing Waldorf school. His father, who was then the CEO of a fish export company, organised a year-long traineeship in Japan and sent his son to his client in Numazu, Shizuoka Prefecture. The 18-year-old, two-metre tall Dutch boy is lost in translation and learns his lessons and rules the hard way. Through trial and error he manages to deal with fish for fifteen hours a day for six days a week and get around in conservative countryside of the land of the rising sun. During his two-week internship in Tokyo towards the end of his stay, he meets Yukiko, the love of his life. 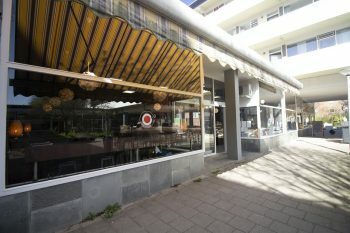 Marinus returns to the Netherlands in 1991 and becomes a partner of a food retail business. Before long, however, he experiences its unfortunate closure. 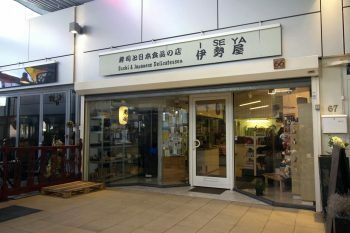 With the skills he learned in Japan, he starts his own business with Yukiko, who followed him in 1992. “It was a smooth adjustment to the Netherlands”, she recalls, maybe thanks to her two-year au pair experience in California. The family eventually grew by three talented daughters. 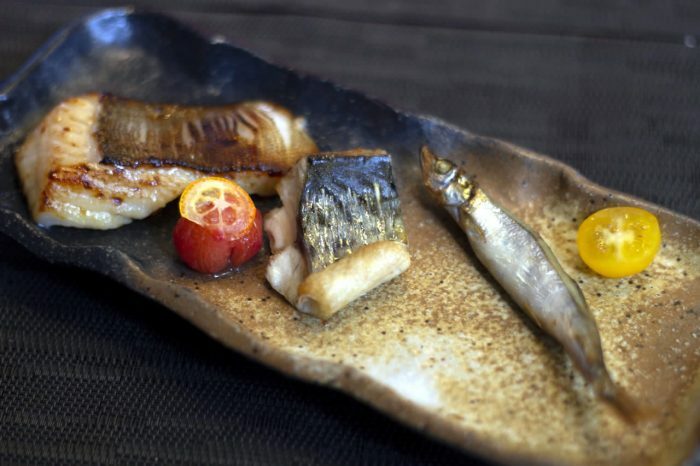 With the love for simple ingredient and tasty Japanese food, the business started with the traditional dried horse mackerel. The couple knocked on every door of the Japanese companies at the World Trade Centre in Amsterdam. 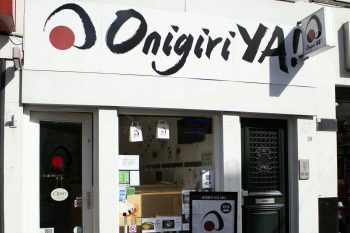 Thanks to the impressive story of a tall Dutch guy selling authentic high-quality Japanese product, the business took off. 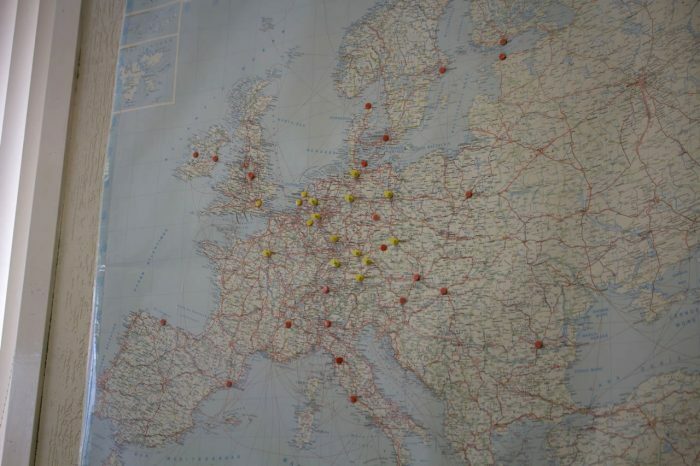 They started to deliver to Rotterdam, Düsseldorf, Munich… They grew with the requests from their customers. 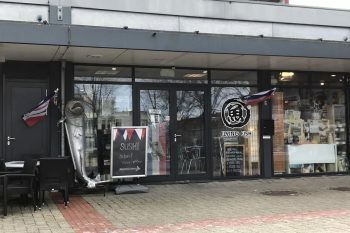 As the company name indicates, most of their fish such as horse mackerel, cod and herring come from the North Sea, which is within a stone’s throw. Salmon and capelin from further north by Norway and tuna from Malta. Black cod, cod roe and Atka mackerel hail from Alaska. In 2007, they looked into expanding their products range and turned to Thailand. 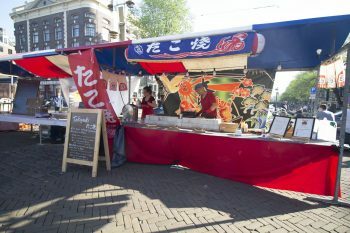 Their R&D and OEM products feature breaded shrimp, oden, takoyaki and much more. 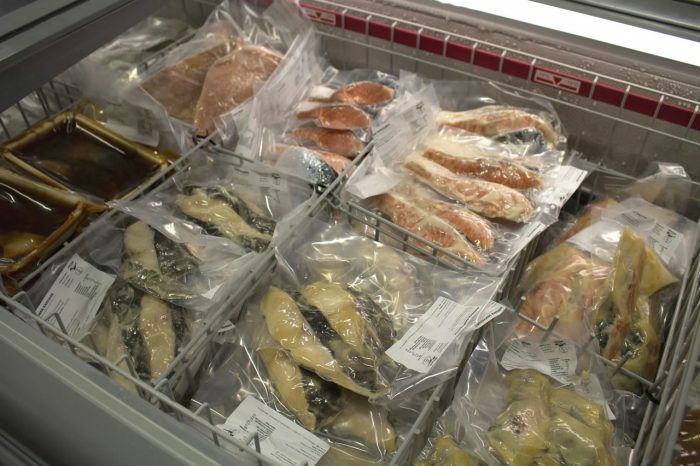 Recommended items are the omakase (chef’s choice) package of gindara saikyōzuke (sweet miso-marinaded black cod), capelin and salted mackerel, and also salmon miso and salmon burgers. 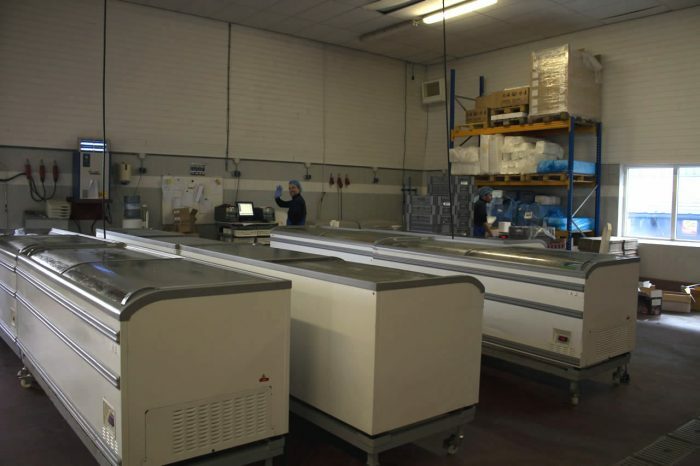 Occasionally they host an open day event to showcase how you easily can prepare their frozen fish products. For the first ten to fifteen years they grew by 10-20% annually, mainly just by word of mouth. The business was steady, but it was not growing as it has before. 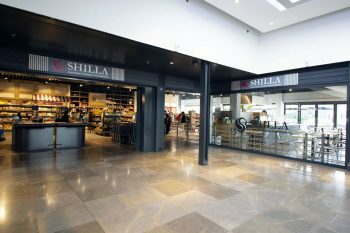 Even though they probably had the best business model , the question was: “What next? How can we reach out?”. The answer was Hokkai Kitchen next to the factory. 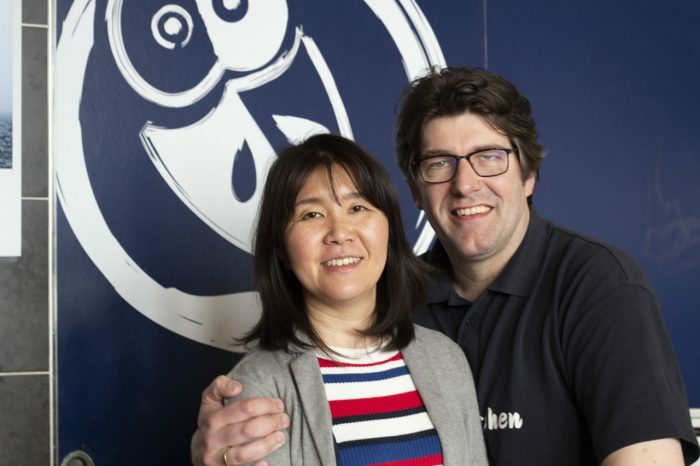 Their sushi takeaways became so popular that ex-Okura chef Kuni joined the team in 2014. 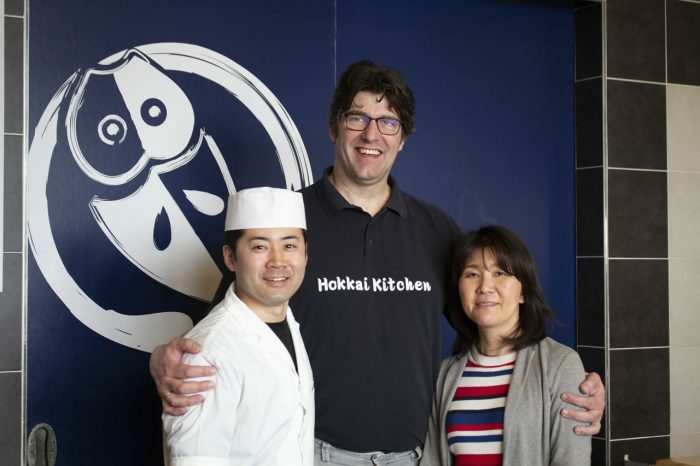 Now Hokkai Kitchen is one of the most trending Japanese restaurants in the Netherlands. 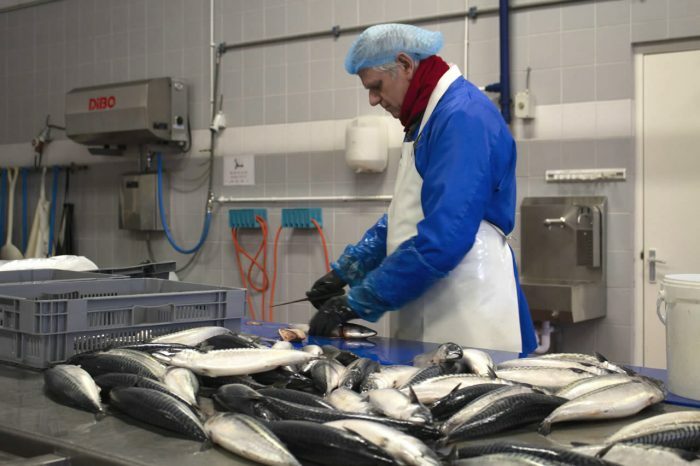 “My passion is B2C, showing the people who like and don’t like fish how delicious it can be,” says Marinus. “No one just says: ‘I don’t like fruit’. Maybe you like apples but not mangos. It’s same with fish and seafood. There are so many varieties and different ways to prepare them. So far no one hasn’t liked our aburi salmon nigiri with a bit of mayonnaise on top. But as soon as they walk out, they don’t like fish again. It takes time to change someone’s mind. But we’re here to prove it. There are new ideas in the baking as well. Stay tuned!”. Celebrating their quarter century seems to be just a passing milestone for the powerhouse in IJmuiden.